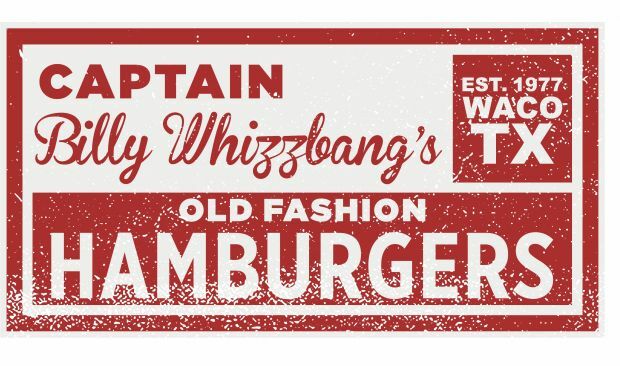 Captain Billy Whizzbang's burgers are made from fresh never frozen ground beef, mixed with their special recipe of seasonings that has been passed down for decades and pressed out fresh every morning. That is what makes their burgers great. They are made the same way every time you order. It does not matter if you order 1 or 1,000 you will always get the same great taste that you know and love. Captain Billy Whizzbang's takes pride in the extraordinary service they provide their customers. When they cater your event they will make it feel like family has done it for you. for more info on catering call and ask for Trent. 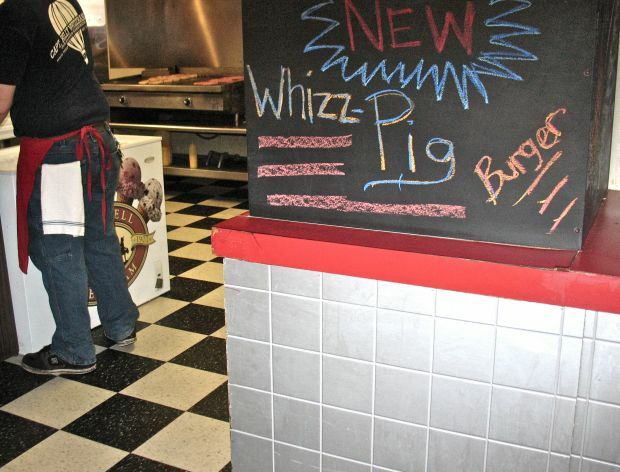 The Whizzpig is a delicious hamburger patty hand pressed and made of half ground beef and half ground bacon that will have you squealing for more! 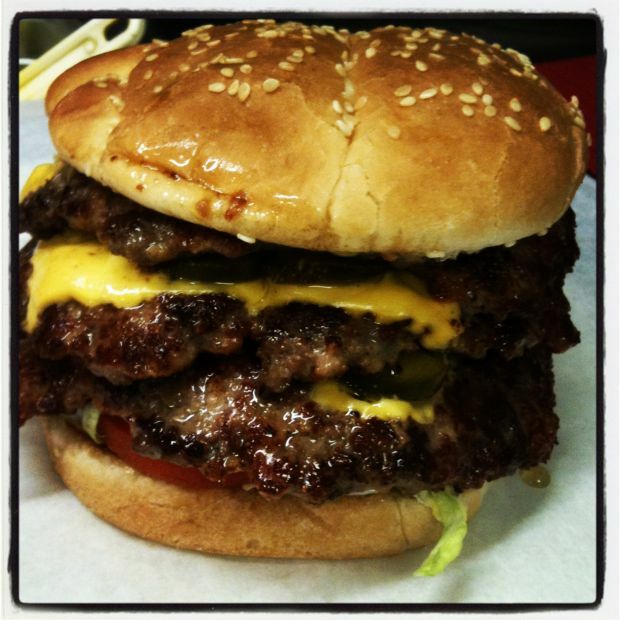 What A " Whizz Waco Burger "
Absolutely the best in Waco. Not just an ordinary - drive thru - thrown together burger for sure. Try the cheese fries and you will have a delightful taste with the burger! Thanks for making me enjoy burgers again. Went here for the first time today. Found my photo on the blog today of me right before I took my first bite of a delicious cheeseburger so I thought I should write a review. Only having been in Waco for a year, I've heard about other burger places a lot. Tried them and some were good and others were overhyped and not very impressive. Then I heard about this place. When I first heard about it I thought with a name like Captain Billy Whizzbang's it would either be awesome or not awesome. I have been wanting to try it for a couple months now and just never got around to it. 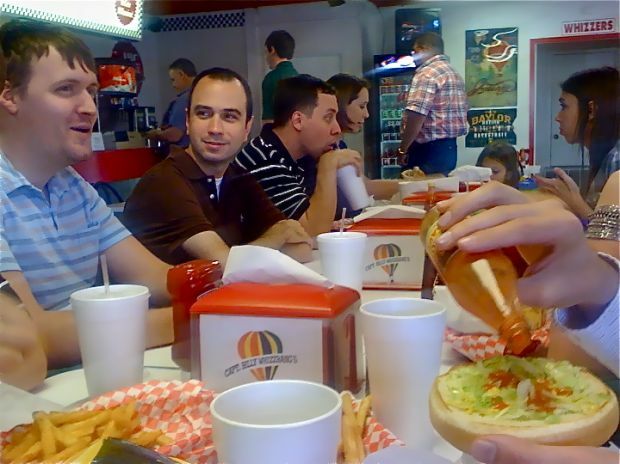 Fortunately a big group of people from my church (UBC) were going for a weekly local lunch spot group. I arrived a little late and we had already packed the place pretty good. I was pretty excited to try the Whizzpig so I settled on a single patty cheeseburger all the way with mayo. Wasn't very hungry so I ordered no fries. I sat down and torn into my burger. Woah! It's great! The patty is a mix between the diner type patties that are flat and smushed on a grill and the thicker type really meaty patties. The flavor is great and the meat is juicy. The cheese is melted and filling the spaces in the patty below. Perfect. The rest of the burger is great. Fresh veggies and a good bun. Luckily my wife ordered tots and she couldn't finish them. They were really crispy, which is huge plus for me. I know five stars might seem like a lot for this place but I love it. It's my new favorite burger place in Waco, right next to Cafe Homestead. The fact that this place isn't so hyped up like other places helps a lot too. I've been going to the Captain's for over a decade and their burgers have always been on point and consistent! But recently a menu item has blown me away. Their new creation is called the Whizzpig, I like to think of it as the perfect bite burger. The patty is half ground beef half BACON!!! Bacon and cheeseburgers go hand in hand for me. The most troublesome predicament about a normal bacon cheeseburger is that you will inevitably get a few bites (mostly towards the end) that do not have bacon (amateur hour, bush league, I know). Not with the Whizzpig! Half beef, half bacon! 1 to 1! Bacony y Beefy! With these measurements in mind, simple logic tells us that every bite will be perfect! And it is! 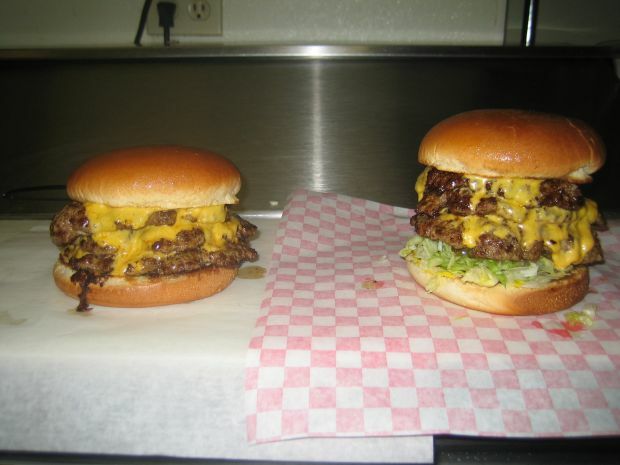 Go see the Captain and try one for yourself... a burger coma will ensue. Also their tots are great! Didn't see Texas Toothpicks on the menu last time, but if they still have them available opt for those! 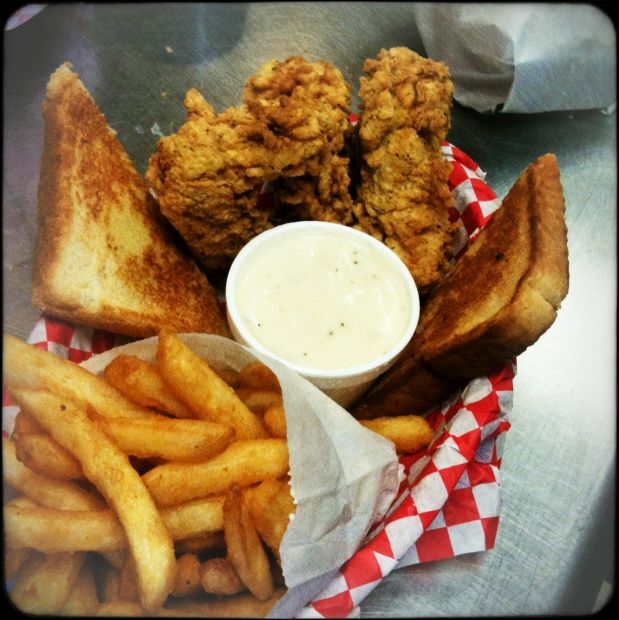 Thanks for the review, we have replaced the toothpicks with a hand battered fried jalapenos (Texas tops) which are awesome. We also have a choice of our Cajun Chips which are potato chips we fry and put a Cajun seasoning on, seasoned waffle fries, onion rings or tater tots. About once a week I stop in at Capt Bill for my Western Billy Burger. Its one of my favorite burgers off all time. I’ve been visiting Capt Billy for as long as I can remember, and have known a couple of its owners, as its changed hands a couple of times lately. Usually when a place changes hands quality goes down, in order to cut cost and start anew. Luckily with this last change of hands this hasn’t happened. I’ve worked very close to the new owners, so when I heard they were buying it, I have a lot of faith in them. They use good quality meat, and I’m not sure, but it looks like they get it in pretty fresh. I’m just assuming this, based on the size and shape of the patties, pre and post cooking. I almost always get the Western Billy Burger, which is a single meat, bacon, onion ring and BBQ sauce. I love it, and they know when I walk in, 9 times out of 10, that’s what ill get. The burger patties seem like they are also seasoned with salt and pepper, which a lot of places don’t do. But I think it adds an extra dimension to the flavor profile. Lately though Ive been getting their grilled chicken sandwich with lettuce, honey mustard and some mayo, all on their cheese & jalapeno buns. The chicken is also juicy and flavorful, well-seasoned. The lettuce is fresh and the honey mustard is very good. But those jalapeno cheese bun are just amazing. Ive worked with those buns before at a previous job and really loved them. When I saw that the Capt was carrying them… it was just amazing. They are great with chicken sandwiches and amazing on burgers. They add a very nice pop to them both, with their sweet and spicy flavor and hint of cheese. These are deff worth the extra dollar. For sides I usually get their tots or onion rings, I like the flavor and quality of them. I’m very picky with my fries, and don’t get them at most places. Their overall menu has a good selection for the size eatery they are. Their new waffle fries are pretty amazing too; they have a light seasoning on them and are nice and crunchy. The service is great, they are very friendly and fast. Even on their busiest of days I never wait very long. It’s a locally owned and run, no chain or big company, which makes it that much better. I love to support local business, especially when they are this good. They have both a drive through and inside seating. The inside still looks the same, for as long as I’ve been going there. So if you’re ever up town, and are in a mood for a great burger. Forget MD, BK, or WB… stop on by Capt Billy’s and tell them DavieG sent ya. Plus~ If you’re looking to throw a party and want some great burgers, the Captain Caters. --- Since I wrote the original portion of this review, I have eaten there nearly 1once a week. Always the same no matter what Ive gotten; Great quality, great food, great service. They’ve also added Blue Bell Ice Cream and shakes; Vanilla, Chocolate and Strawberry! Yum yum.